It is end of the year 2010. 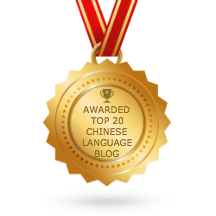 During this year, I have posted 249 Chinese characters. If you have followed my blog since early of the year, you should have learnt 249 characters! For the next 2 weeks, I will be taking a break. So do remember to come back on 3rd January 2011 (Monday) to continue to learn Chinese. I wish all of you a Merry Christmas and Happy New Year 2011 ! Where are the lessons for Dec 20 & 21? Why are they not coming? As mentioned in the above post (Worksheet 83), I will be taking a break for 2 weeks. So there will not be any post from 20 Dec 2010 till 2 Jan 2011. Please come back on 3 Jan 2011 to continue to learn Chinese.